You can learn more about each service offering by clicking here, but if this is your first time we recommend attending the 10:15am service. This family oriented service is traditional in style, but modern in language. This service also incorporates the opportunity for Adult and Children’s Formation, known as Sunday School in other denominations. (see below). Are there programs for children? Yes! Children’s Formation begins at 10:00am and lasts until about 10:45am. At this point the children rejoin the adults in worship at the 10:15 service. One of the principal goals in Children’s Formation is to foster a sense of community. Led by Linda Swensson and adult volunteers, the older children also help in teaching and mentoring younger children. Click here for more details. Additionally on a Sunday morning, both children and adults can participate in St. Thomas’ music programs. Read more about the different ensembles on the choir page. Adult formation takes the form of a 9:15 a.m. Forum, which occurs between the 8am and 10:15am services. Usually led by a member of clergy, sometimes led by lay leaders (the congregation), this Forum explores a variety of topics. Click here to learn more about the current adult forum. When you arrive, our ushers will give you a service bulletin. The vast majority of what you’ll need to participate can be found in this. Once you get to your seat, you’ll find a blue hymnal and a red prayer book in the pew-rack in front of you. These are referred to throughout the service in the bulletin and contain special music and prayers. I’m not Episcopalian. Can I take communion? Yes. In the Episcopal Church we believe you have more right to receive communion than we have to offer it in the first place, and we welcome all baptized Christians to receive communion. If you want an in depth look at what The Episcopal Church believes about the Eucharist, you can click to download An Outline of the Faith, found in our prayer book (The Book of Common Prayer).. 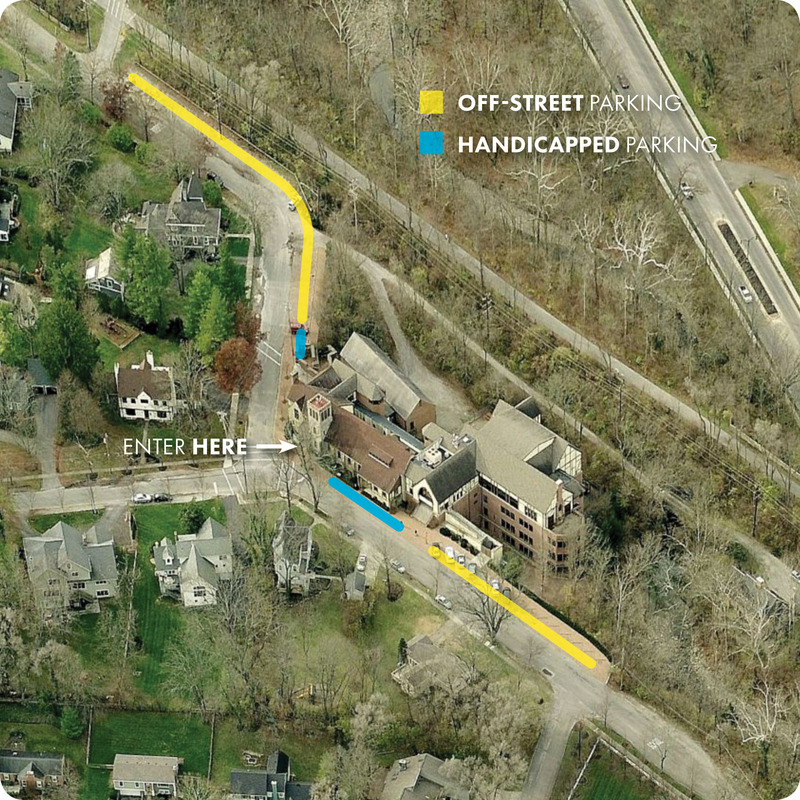 Parking is available off street (click on the map below to enlarge). Parking does fill up pretty quickly on a Sunday morning, but there is also plenty of street parking. We recommend leaving a few extra minutes to find a spot.